Women across the globe are learning to call upon the Lord and speak of all His wonders as they experience His goodness in ways they never thought possible. 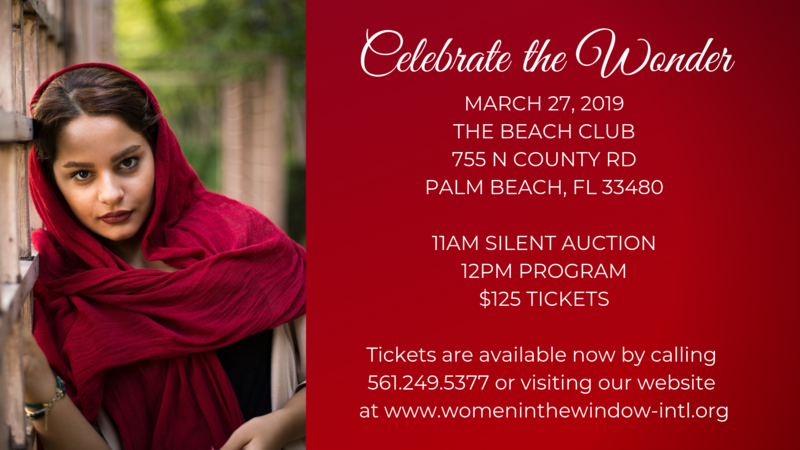 Join us for an afternoon of celebration as we hear a firsthand report form a Women in the Window ministry leader from the Middle East. She has some amazing stories to tell about women who overcame some of the most difficult circumstances imaginable. Don’t miss this afternoon celebration that includes delicious food, dance, drama and music! Online registration for our Spring Luncheon is now closed.